Large square well with leaves decorations on each corners, with drapes, fruits, flowers and leaves details. 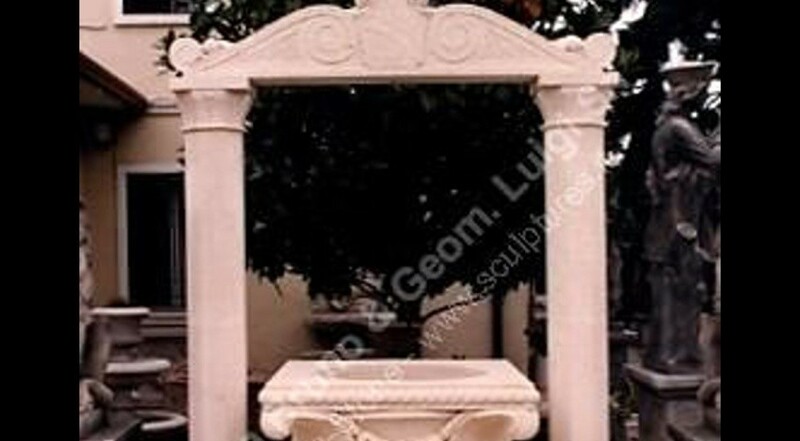 This stone carved well has 2 side columns resting on a large square step, complete with a decorated portal with inscribed a family crest in the centre area. A very important well, formerly designed in our atelier by our artists. Florence and Venice city have many examples of these wells with portals, placed in private gardens with personalized crests.